Gamewright’s Sushi Go Party is a pick and pass card game for 2-8 players aged 8 plus. 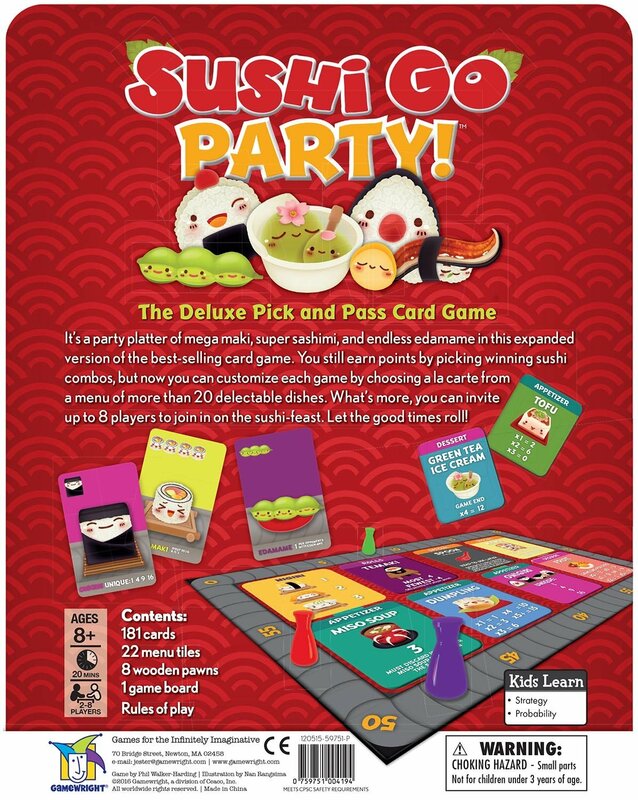 It is an extended edition of the best-selling card game Sushi Go. 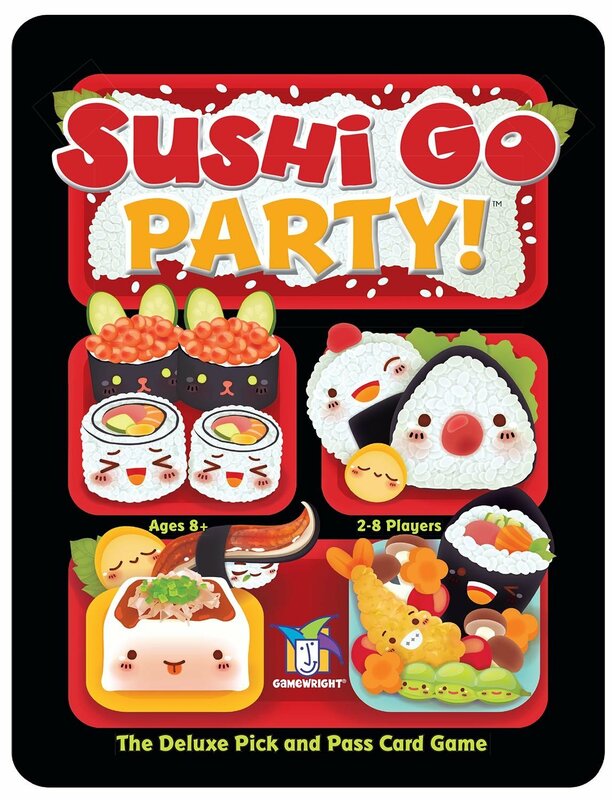 Players earn points by picking the best sushi and a la carte combos before they whiz by! 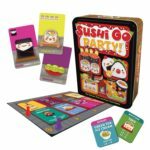 Sushi Go Party includes the original game and is expanded to include more cards allowing 8 player to join in the sushi-fest. 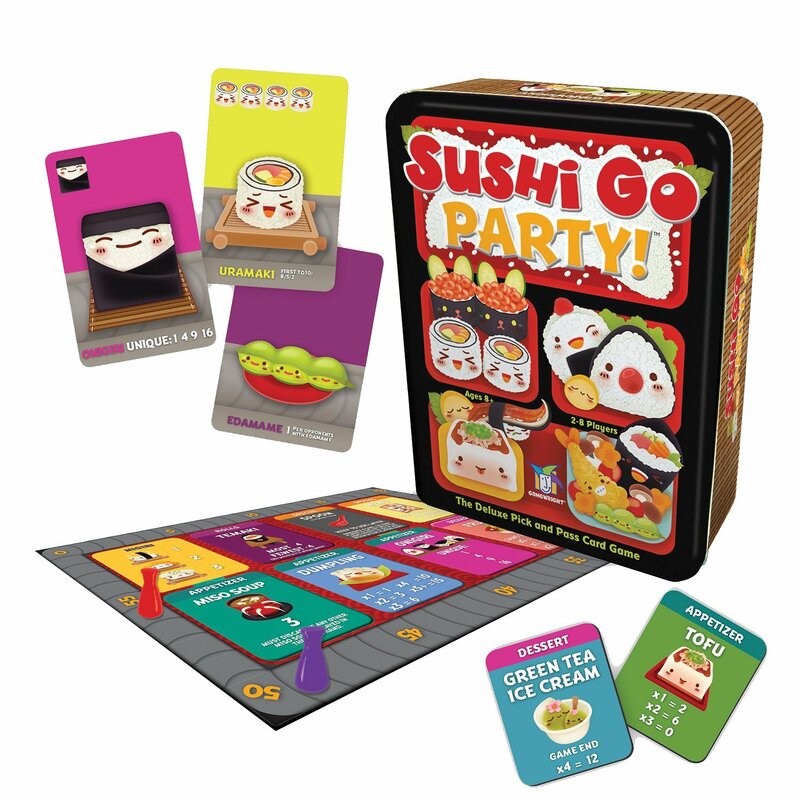 Their are also lots of opportunities to customise your playing experience, with strategies varying from game to game.